Dimensions: 32 inches deep by 34 inches high by 31 inches wide. This hemp club chair is a sweatshop-free product, designed and manufactured by A Natural Home, a small organization that respects the work of traditional craftsmen and craftswomen and do their best to allow them to work at home rather than in a distant factory. The wood used in making A Natural Home products is sustainably harvested and assembled on Amish farms from their own naturally grown, sustainably harvested forest. Their goal at A Natural Home is to provide a line of organic and safe home furnishings that are expertly made and affordable, as well as to manufacture them in a small sustainable community. 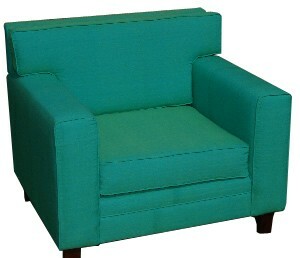 Click here to return to "Hemp Furniture"